Interchangeable Pump Harness Gag Replacement Balls. These replacement balls come on a leather strap, made to fit the Pump Harness Gag. 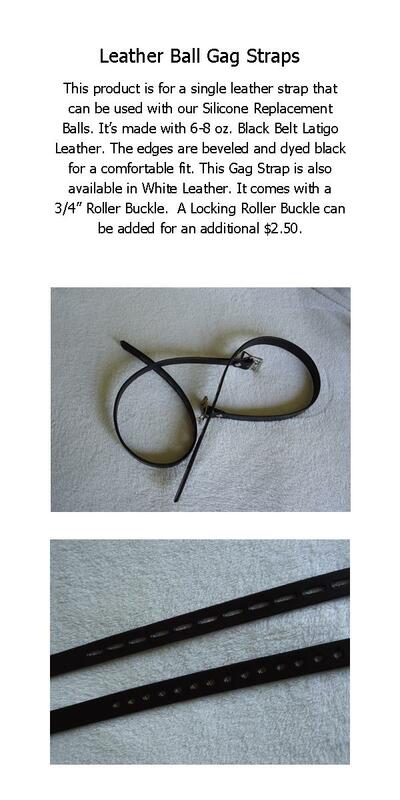 These Additional Chin Straps are made to fit the Interchangeable Standard Harness Gags. Replacement balls for the Interchangeable Standard Harness Gag. Includes leather strap.